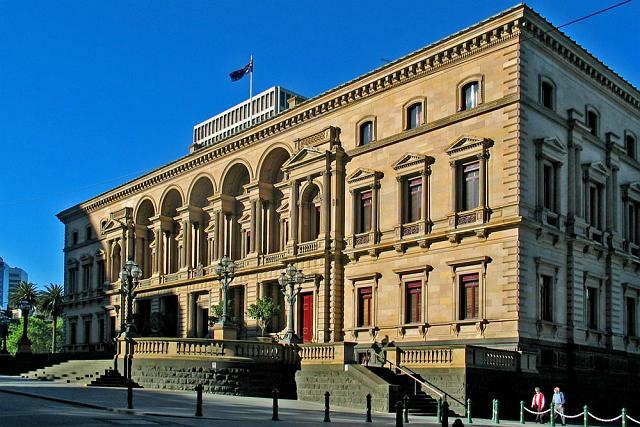 The Old Treasury Building is regarded as one of the finest nineteenth century buildings in Australia. 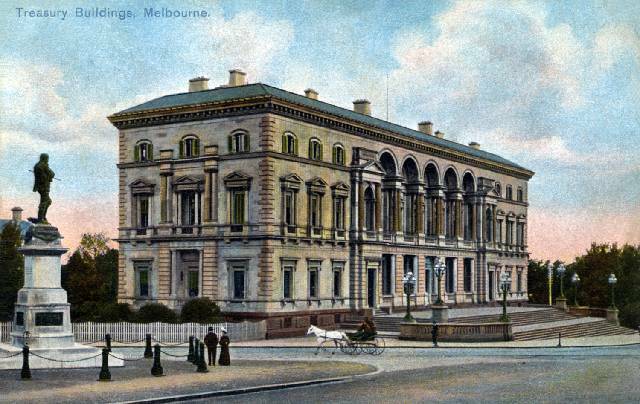 The building occupies a unique position in the history of Melbourne. 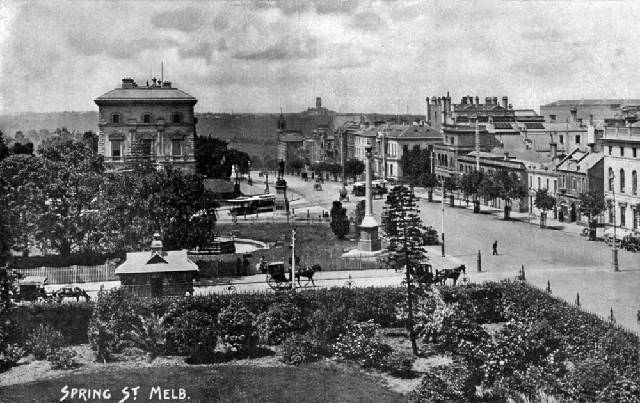 Its origins lie in the 1850s Victorian gold rush, which brought great wealth to Melbourne, and its construction between 1858 and 1862 was symbolic of the rapid development of the city. 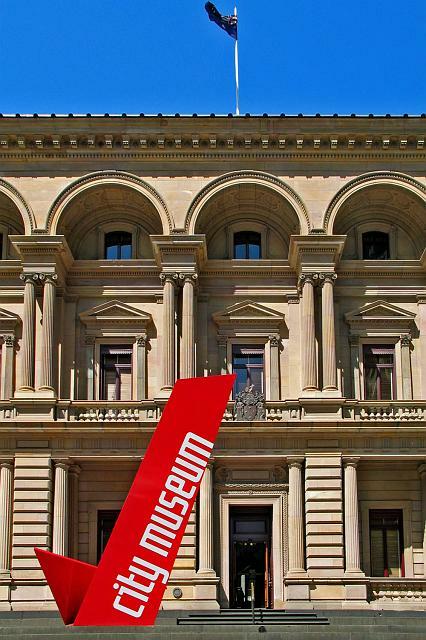 The Old Treasury was designed by nineteen-year-old architect JJ Clark, and is a reflection of the vision that Melburnians of the 1850s gold rush era had for their future city. 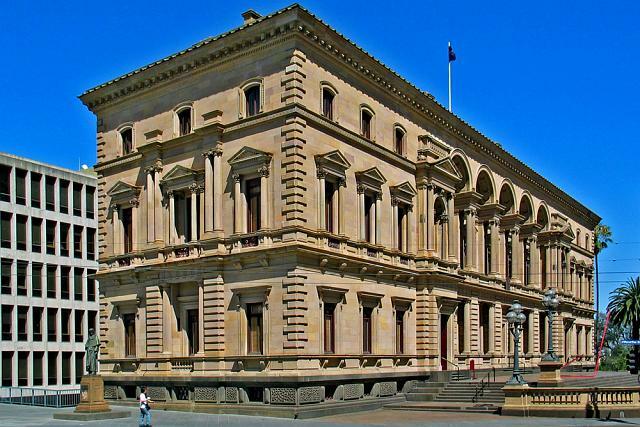 His design for the Treasury Building was in the Renaissance Revival style, derived from the 'Italian palazzo' form popular in the nineteenth century. 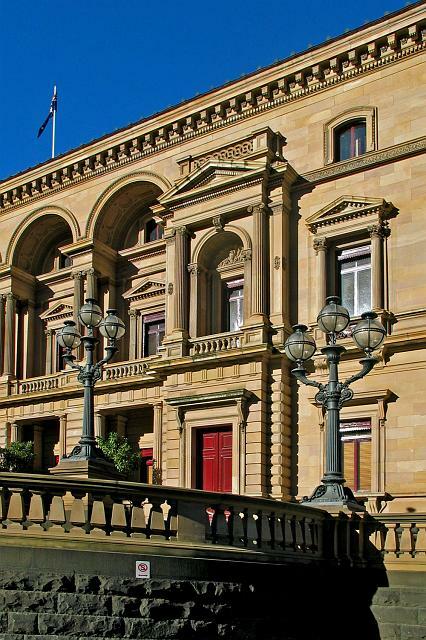 The three-storey rectangular building is elegantly proportioned, 200 feet across, 55 feet in depth and 70 feet tall, with three main entrances to the ground floor, central section portico with upper story colonnaded arcade and elaborately detailed window pilasters and pediments. 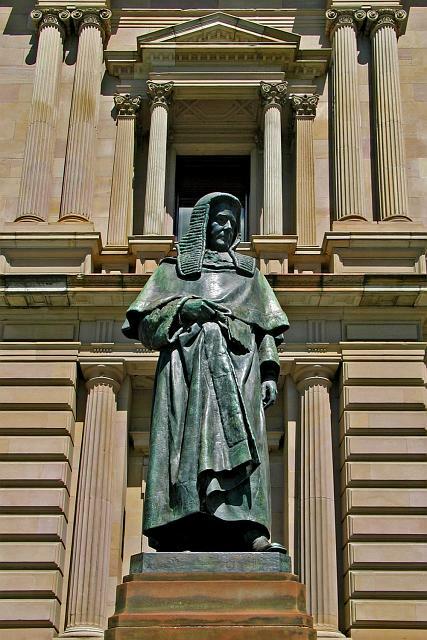 The exterior of the building is finished in Bacchus Marsh sandstone, its bluestone foundations were mined from Bald Hills Quarry (Bacchus Marsh), and the floor above the barrel-vaulted basement is a metre thick. 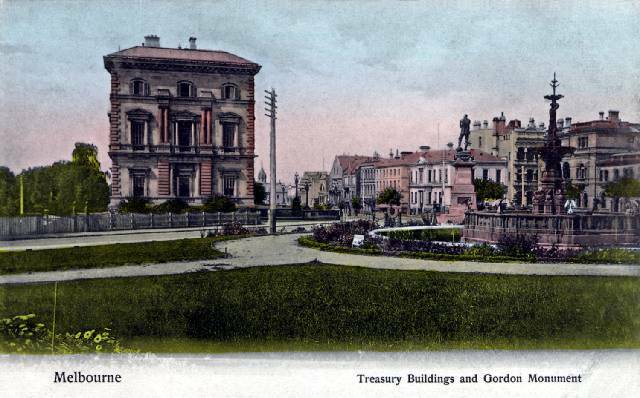 Below, three postcards of The Old Treasury. The following are six of my own photographs. Original rendering by JJ Clark. 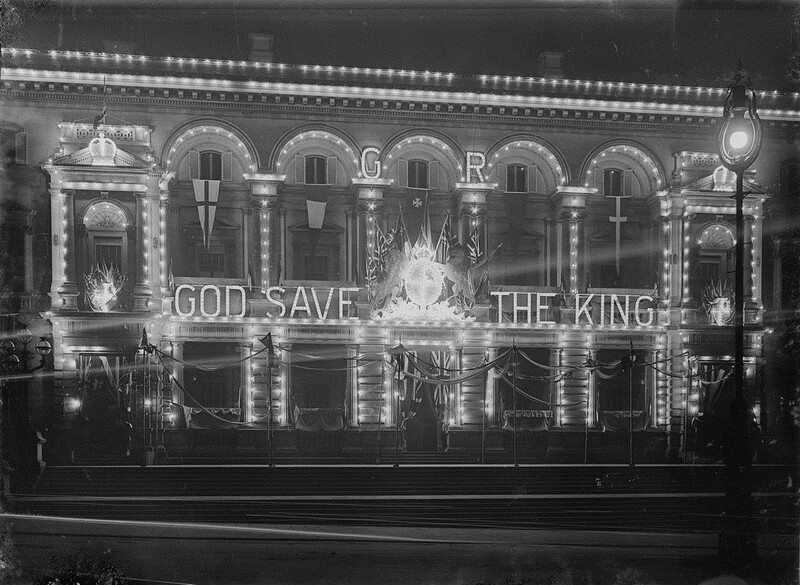 Treasury Building illuminated in the 1910s to celebrate the coronation of King George V.
State Library of Victoria on flickr. 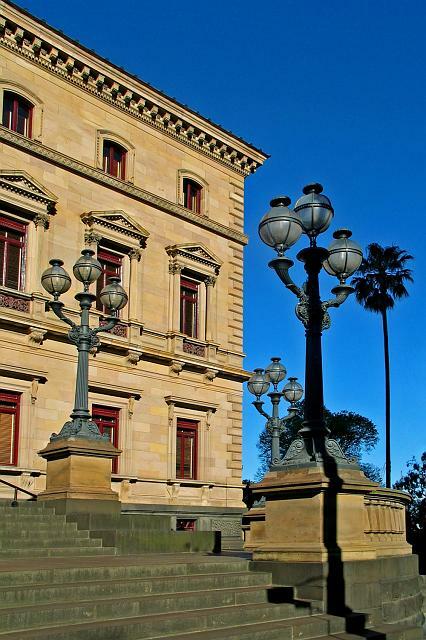 Treasury Building illuminated for the visit by the Prince of Wales in 1920 this time.